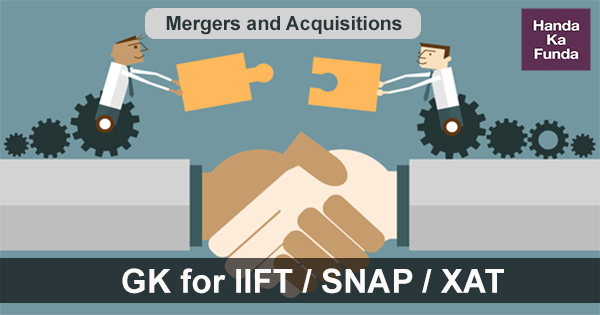 Mergers and Acquisitions have always formed an important part of General Knowledge section of exams like IIFT / XAT/ SNAP and various other Management entrance exams as well. Typically, the questions are based on the acquiring company or the company that is being acquired. It is not focused on the amount of money involved but on how significant the merger is and also – how popular the merger is. Unfortunately, there are no such lists easily and readily available. Most of the merger and acquisitions lists either focus on the deal amount or are limited to the technology sector. Keeping that in mind, I thought I would create a few lists of my own that would help students of our General Knowledge course.